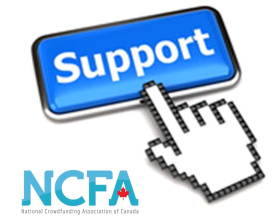 Below is NCFA Canada's response to the ASCs proposed adoption of largely Ontario's version of the integrated crowdfunding exemption (45-08). Please click here to download the full response letter. We support the adoption of the Integrated Crowdfunding Exemption in Alberta. It is our opinion, however, that the Alberta Securities Commission should be adopting the Saskatchewan and Manitoba version of the Integrated Crowdfunding Exemption and not the Ontario version of the exemption. The Integrated Crowdfunding Exemption came into effect January 25, 2016 in the provinces of Manitoba, Nova Scotia, New Brunswick, Ontario, and Quebec. It will come into effect in Saskatchewan on ministerial approval which has not yet been obtained. Alberta will be the seventh jurisdiction in Canada to adopt the Integrated Crowdfunding Exemption. It is our opinion that the harmonization of the capital-raising exemptions in Canada should be a top priority of all Canadian securities regulators. Ideally, the Integrated Crowdfunding Exemption and the Start-Up Crowdfunding Exemption, as set-out in Multi-lateral CSA Notice 45-316, should be available to issuers in every province and territory in Canada. The requirements and application of both these exemptions should also be identical and not have nuanced differences as they do now. As of today’s date, no portal has registered under the Integrated Crowdfunding Exemption. We are also unaware of any registered dealers who have amended their registration to include sales under the Integrated Crowdfunding Exemption through a portal. As a result, no issuers have conducted a financing using the Integrated Crowdfunding Exemption in Canada since it become effective in January 2016. The Start-Up Crowdfunding Exemption, available in British Columbia, Manitoba, New Brunswick, Nova Scotia, Quebec and Saskatchewan, has also had a slow start in Canada but is starting to gain traction. There are now eight portals registered under the Start-Up Crowdfunding Exemption and one exempt market dealer who is registered to include sales under this exemption through their portal. Issuers have closed financing on a number of these portals in British Columbia and Quebec. There are also eight funding portals run by exempt market dealers and one portal registered as a restricted dealer utilizing the accredited investor and offering memorandum exemption. These portals have been more active in closing financings than the portals utilizing the Start-Up Crowdfunding Exemption. In the United States Title III Crowdfunding rules became effective May 16, 2016. Fifteen portals have registered under the exemption and ninety-nine issuers have launched crowdfunding campaigns under the exemption. As of July 18, 2016, 35 states have approved an intrastate crowdfunding exemption. Portals have registered across the United States under these various intrastate exemptions. Texas alone has over ten portals registered under its intrastate crowdfunding exemption and portal rules. Over one-hundred and sixty-six issuers have launched crowdfunding campaigns utilizing these various intrastate crowdfunding exemptions. The Title III Crowdfunding rules and the various intrastate crowdfunding rules are similar to the Integrated Crowdfunding Exemption but vary in ways that has made these rules more attractive to portal operators and issuers. Although we are disappointed the Integrated Crowdfunding Exemption has not been utilized, we believe it is too early to determine whether the Integrated Crowdfunding Exemption is of no interest to private or public issuers who may rely on this exemption to issue securities. Other jurisdictions such as the UK, Europe and the US also had a slow start to the use of their funding portals. The use of these portals however have doubled or tripled year after year over the past four years in these jurisdictions. We expect a similar evolution of the use of funding portals will occur in Canada as investors and issuers become aware of and educated about this form of raising capital and investing and the rules are adjusted to fall more in line with those in other jurisdictions. We provide the following suggestions and comments for the purpose of encouraging you and other regulators in the participating jurisdictions to discuss how the Integrated Crowdfunding Exemption can be revised to be more palatable to potential portal operators and private small and medium enterprises (SMEs). We certainly do not want to encourage the Alberta Securities Commission to adopt its own twists to the Integrated Crowdfunding Exemption at this time. The majority of the suggested changes below are for future consideration. One of the perceived issues of the Integrated Crowdfunding Exemption concerns the variations of the exemption adopted in different participating jurisdictions. A securities exemption that is identical in every jurisdiction across Canada is the ideal that Canadian securities regulators should actively pursue as a goal any time a new rule is adopted. The feedback we have received is that issuers and their advisors believe the Integrated Crowdfunding Exemption has too many variations from jurisdiction to jurisdiction which makes the rule difficult to understand and use. The chart below sets-out the main differences (download the full response letter to view the chart). Exemption for Start-up Businesses (the “Start-up Business Exemption”). If adopted in Alberta as proposed, Canada will have yet another version of the Integrated Crowdfunding Exemption. There appears to be no logical reason to impose distribution caps or aggregate yearly investment caps on accredited investors under this exemption. Under the existing accredited investor exemption there are no caps on the amount someone who is qualified as an accredited investor can invest in a distribution, or yearly limit as to how much they may invest in public or private issuers. The accredited investor exemption is based on the premise that someone who is an accredited investor has the financial sophistication and ability to sustain the risk of loss of investment or the ability to protect themselves which render the protections of the securities act’s registration process unnecessary. It is unclear why accredited investors now need protection from investing in securities offered under the Integrated Crowdfunding Exemption or should be discouraged from participating in these offerings. Issuers are forced to run two concurrent offerings (one utilizing the Integrated Crowdfunding Exemption and another utilizing the accredited investor exemption) if an accredited investor wishes to invest more than $25,000 or the issuer or investor is located in Alberta and Ontario and the investor has maxed out his yearly investment cap of $50,000. Not only does this add complexity it removes valuable information about who is interested in investing in an issuer and the benefits accredited investors bring to the due diligence process of a crowdfunding investment. Non-accredited investors benefit when accredited investors (angels, venture capitalists, and market professionals) participate in a crowdfunding offering as they often have the means and ability to evaluate the merits of the business and offering. If accredited investors are restricted or absent from these offerings non-accredited investors cannot take advantage of the knowledge base accredited investors can bring to the shared evaluation process. Limiting and discouraging the participation of accredited investors removes a potentially important investor protection mechanism in equity crowdfunding. We strongly encourage Alberta to not adopt the Ontario version of the Integrated Crowdfunding Exemption which imposes an aggregate yearly investment cap on accredited investors and instead to join the other participating jurisdictions in adopting a version of the exemption with no yearly investment caps. We also encourage Alberta and the other participating jurisdictions to eliminate the per distribution cap currently in place for accredited investors. Except in Ontario (and Alberta), issuers and portals are required to confirm and validate if an investor is an accredited investor if the acquisition cost is greater than $2,500. In all jurisdictions, if an investor indicates they are an accredited investor or a permitted client, the portal is required to obtain further information from the purchaser in order to determine whether the purchaser has the requisite income or assets to meet the terms of the accredited investor or permitted client definition. Portals and issuers struggle with what is required of them to confirm and validate that someone is an accredited investor. Ideally, they would like to be able to rely on self-declarations by investors or use a check-the-box approach, however, regulatory actions across Canada and guidelines issued by various regulators have indicated these actions are not sufficient to determine if someone is an accredited investor. It appears Ontario’s (and Alberta’s) Form 45-108F3 - Confirmation of Investment Limits not only serves to provide information about investment limits but also confirms for issuers (but not portals) an investor is an accredited investor. If this is true we encourage all participating jurisdictions to adopt an accredited investor confirmation and validation form that issuers and portals can rely on to determine if someone is an accredited investor. Alternatively, we ask the regulators to provide further guidance given that it is not clear how confirmation and validation of accredited investor status can be streamlined to meet the requirements of the regulators and at the same time not put-off potential investors or be a costly exercise. The Integrated Crowdfunding Exemption should be amended to allow advertising and general solicitation. 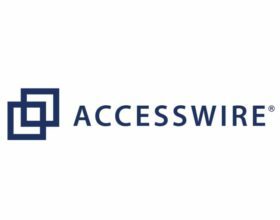 Issuers and registered dealers have been allowed to use advertising and general solicitation when utilizing the accredited investor exemption and the offering memorandum exemption for over ten years. During this period there has been very little abuse attributed to advertising and general solicitation. Abuse that has been identified in this area has gone hand in hand with fraud, material misrepresentations, and a flagrant disregard for securities laws all together. Allowing advertising and general solicitation increases investor protection. In donation, pre-sale and perk crowdfunding campaigns advertising and general solicitation draws in hundreds of people who review and provide their opinion and knowledge about the issuer, founders, business, product and perk. Allowing advertising and general solicitation creates transparency, and unlike online bulletin boards and chat rooms, potential investors and commenters cannot hide their identity behind multiple aliases. Fraud is rare and quickly uncovered in this type of environment. You want equity crowdfunding campaigns to be seen by as many people as possible. Not allowing advertising and requiring or allowing portals to put information about an offering behind a wall creates a private room environment where issuers and portal operators have a greater ability to hide what is being said to potential investors and what communication regulators can see as well. It is equivalent to creating a “private pitch dinner” or “timeshare presentation” environment which can breed high-pressure sales tactics, falsified information, and empty promises. Regulators cannot police everything and the crowd will alert you to issuers and founders who are not who they say they are or who are not abiding by the rules which would otherwise be missed if only a few people are aware of an issuer’s equity crowdfunding campaign. Advertising and general solicitation is allowed under the equity crowdfunding rules in the United Kingdom. We believe this is one of the reason equity crowdfunding has been so successful for issuers raising capital in the United Kingdom. In the United States, twenty-one states have explicitly allowed for advertising and general solicitation in their intrastate crowdfunding exemption rules. The remaining states who have adopted an intrastate crowdfunding exemption are silent on the issue, and no state bans advertising and general solicitation in its intrastate crowdfunding exemption. audited if the cumulative amount an issuer has raised under any securities exemptions since its formation is $750,000 or more. Using a cumulative threshold pretty much guarantees most non-reporting issuers considering using the exemption will be required to file audited financial statements at some point in time. This is a very expensive proposition to non-reporting issuers as these statements must be prepared in accordance to National Instrument 51-102 Continuous Disclosure Obligations, National Instrument 52-107 Acceptable Accounting Principles and Auditing Standards and International Financial Reporting Standards (IFRS), versus Canadian GAAP for Private Enterprises. These ongoing disclosure requirements continue until a non-reporting issuer becomes a reporting issuer, winds-up or dissolves its business, or has fewer than 51 security holders worldwide. If an issuer raises $150,000 under the Integrated Crowdfunding Exemption and all investors put in $2,500, the maximum allowed by non-accredited investors, that issuer will have 60 new security holders. If they had previously raised $600,000 through friends and family or accredited investors they would be required to provide audited financial statements indefinitely. The cost of meeting this ongoing disclosure requirement far outweighs the advantage or interest any non-reporting issuer may have in using this exemption. An indefinite ongoing disclosure requirement only makes sense if a non-reporting issuer is continually raising capital, planning to go public in the near term, or has a definite life span like a limited partnership. Ongoing disclosure requirements do not apply when an issuer raises capital under the private issuer exemption, the accredited investor exemption, the Start-up Crowdfunding Exemption or the Start-up Business Exemption. It should not exist here either unless it has a reasonable sunset clause such as for one year after a non-reporting issuer raises capital under the Integrated Crowdfunding Exemption. The maximum an issuer group can raise under the Integrated Crowdfunding Exemption in a twelve month period is $1.5 million. We believe this limit should be $5 million or higher in order to make this exemption attractive to issuers. It is our understanding that this limit was previously selected based on the U.S. $1,000,000 limit set out under Title III of the JOBS Act and the proposed U.S. Securities and Exchange Commission crowdfunding rules. Several House and Senate members in the United States have proposed the cap be raised for offerings under Title III Crowdfunding under various bills none of which have yet been adopted. Under the intrastate crowdfunding exemption offering caps vary from $100,000 to $5 million per year. Other than in Oregon, there has been no activity under the intrastate crowdfunding exemptions in states where the offering cap is less than US $1 million. This yearly cap should be considered in context of the markets you are trying to encourage and support in Canada, and the cost and burden imposed on issuers who wish to use the Integrated Crowdfunding Exemption. Two years ago data from equity crowdfunding portals in Europe and accredited investor equity crowdfunding portals in the U.S. seemed to indicate the mean offering size of existing campaigns were under $1.5 million. Data from 2015 and 2016, however, indicates these portals are now regularly helping issuers raise over $1.5 million for early stage companies. A higher limit would support a wider variety of issuers and make the cost of undergoing such an offering worthwhile. We also believe an issuer’s raise should not be aggregated with amounts raised by an affiliate of the issuer or an issuer engaged in a common enterprise with the issuer or with an affiliate of the issuer. A parent or subsidiary company may be involved in a completely different line of business or be the research arm of the organization. New developments and opportunities may be stifled by treating these entities as one for the purpose of this exemption. As discussed previously, it is extremely expensive and burdensome for non-reporting issuers to obtain reviewed and audited financial statements. It is not uncommon for review engagements to cost $20,000 or more. Audited financial statements can cost a lot more for non-reporting issuers who have active businesses. Regulation A in the United States is similar to our offering memorandum exemption in Canada. Under Tier 1, Canadian and United States resident issuers can raise up to US $20 million dollars under the exemption with no audited financial statements required. The majority of the intrastate crowdfunding exemptions do not require reviewed or audited financial statements until an issuer raises $1 million or more. Title III Crowdfunding in the United States does not require reviewed or audited financial statements by first time users of the exemption unless they are otherwise available. Canadian non-reporting issuers are placed at a serious disadvantage to the issuers located elsewhere in the world by requiring they have reviewed or audited financial statement under the current threshold amounts. The Integrated Crowdfunding Exemption is the only exemption we are aware of that uses a cumulative amount raised over the life of the issuer to determine if reviewed or audited financial statements are required. As a result, almost all high growth companies that have been around longer than three years will be required to provide audited financial statements if using the Integrated Crowdfunding Exemption. Non-reporting issuers should not be required to provide audited financial statements unless they are planning to raise over $1.5 million. A per distribution approach should be applied to this requirement and not a cumulative approach. Requiring personal information forms from management of issuers looking to raise capital is intrusive and not required when using other capital raising exemptions in Canada. Requiring portals to conduct criminal record and background checks is also not required when raising capital using other exemptions in Canada. These checks are also incredibly time consuming and expensive for a portal to undertake. These requirements increase the cost of raising capital under the Integrated Crowdfunding Exemption and make its use unattractive to both issuers and potential portal operators. These requirements should be eliminated. Section 31 of the Integrated Crowdfunding Exemption requires portals to remove the distribution materials of an issuer’s crowdfunding campaign at the end of the distribution period. We believe this is a mistake. Regulators should require issuers and portal operators to keep all campaign materials on the portal and available to the public to access post campaign. This information provides historical transparency which will allow the public, regulators, professionals and other third parties to track issuers and their founders’ performance and their capital raising history. This type of transparency will encourage issuer and founder accountability for their statements and financial stewardship of investors’ funds. It will also encourage portals to curate quality companies versus being solely fee driven in terms of who they allow to raise capital through their portal. Erasing or allowing portals to hide this information behind a paywall eliminates a valuable tool for investor protection. This also would bring the requirements and practice of Canadian portals inline with portals operating in the Asia, Europe, New Zealand, the United Kingdom and the United States. Feedback we have received from groups who have investigated whether they should pursue becoming a restricted dealer under the Integrated Crowdfunding Exemption is that the process is confusing and complicated. These rules should be simplified and all of the rules should be found in one place and not refer to substitution of National Instrument 31-103 requirements for similar (but not identical) Ontario Securities Act registration requirements. They are also concerned about their liability exposure and ability to streamline the process sufficiently to meet the regulatory requirements and make a profit. Becoming a portal under the Start-up Crowdfunding Exemption and the obligations of portal operators in our opinion struck the appropriate balance of what should be required of portal operators assisting issuers utilizing equity crowdfunding to raise capital. As a result, eight portals are now operating under the Start-up crowdfunding exemption. No portals are currently operating as a restricted dealer under the Integrated Crowdfunding Exemption. Ontario (and Alberta) should eliminate the requirement that a restricted dealer funding portal not be an affiliate of another registered dealer, registered adviser, or registered investment fund manager. We believe this may encourage some existing dealers to consider running a portal under the Integrated Crowdfunding Exemption. The Integrated Crowdfunding Exemption and restricted dealer registration as currently adopted do not work for the majority of marketplace lending platforms successfully operating outside of Canada. The rules do not take into consideration multi-party participation of public, private and government blended funding models which have developed in the United Kingdom and Europe. They also do not allow for a financial institution to either operate a marketplace lending portal or heavily participate in each funding event (a number of successful portals have the crowd raise 25% and the portal/institution loan 75%). 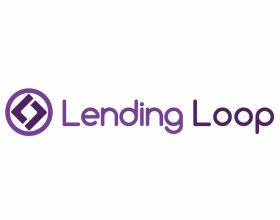 Requiring marketplace lending portals to do a suitability analysis of each lender (investor) when their loan (investment) is capped and a participating institution or party is involved ignores the fact these lenders may have extensive experience with small business loans. The rules also do not allow for the implementation of membership marketplace lending models. Regulators should revisit the Integrated Crowdfunding Exemption and make changes or accommodations that allow for the exemption to be relied on by marketplace lenders. We also encourage you to implement a regulatory sandbox project which provides a class-wide licensing waiver for new businesses to run early-stage tests and trials in the fintech area. The dynamics of this sandbox should encourage dialogue versus suspicion between the private market innovators and regulators. Any action Canadian Securities Administrators implement in this area should be undertaken in conjunction and in association with other interested regulatory bodies. The regulatory sandbox approach has had good success in the United Kingdom and was formalized early this year. 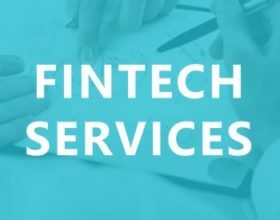 The Australian Securities & Investment Commission just recently issued an update on its Innovation Hub for fintech companies. In the United States, the Consumer Financial Protection Bureau formed Project Catalyst to engage with companies developing innovative consumer financial products and serves and established a process for obtaining a no-action letter (equivalent to an exempt application in Canada) concerning innovative financial products. Marketplace lending platforms are having a significant impact on SMEs in the United Kingdom as set out in the Cambridge University 2015 UK Alternative Finance Industry Report and in the United States as illustrated in report prepared by the Milken Institute Center for Financial Markets which profiled 70 of the United States based online non-bank fintech businesses. Canada is at risk to be left behind in the fintech revolution if its regulatory environment thwarts innovation and change. We encourage the Alberta Securities Commission to adopt the Integrated Crowdfunding Exemption (preferably in the form adopted by Saskatchewan and Manitoba). We also encourage Alberta to undertake community outreach to educate Albertans about the exemption and to encourage its use by private and public issuers. In other jurisdictions, this type of participation has worked to foster portals and issuers using that jurisdiction’s equity crowdfunding exemption.